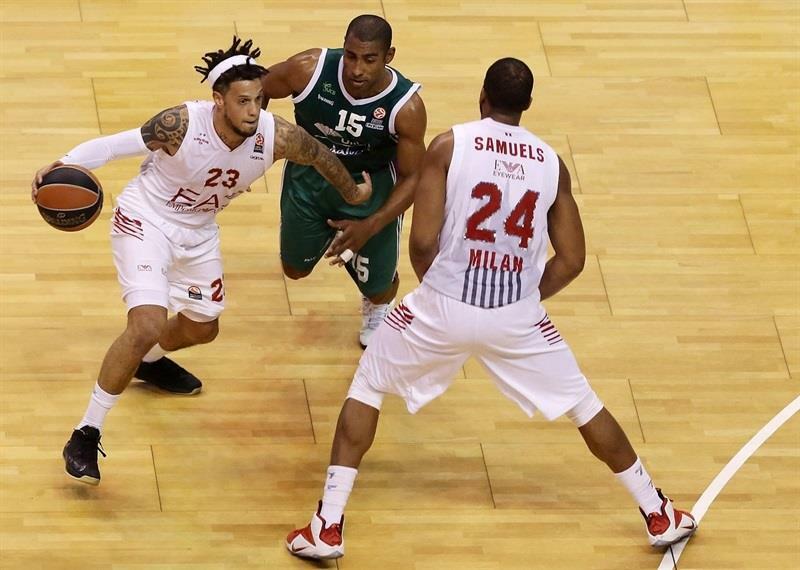 EA7 Emporio Armani Milan registered its first win in Top 16 Group F by edging Unicaja Malaga 77-84 in Spain on Friday. Milan improved to 1-2 while Unicaja dropped to 0-3 and has lost 9 of its last 10 games in the competition. Alessandro Gentile paced the winners with 20 points. 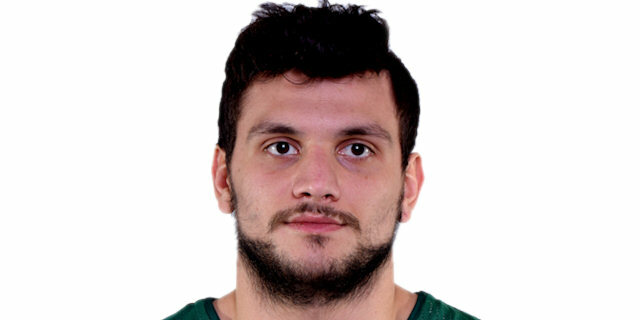 Linas Kleiza added 15, including back-to-back three-point shots in crunch time. Daniel Hackett had 11 points while Joe Ragland got 10 and 9 assists for Milan. Jayson Granger and Ryan Toolson led Unicaja with 13 points apiece. Fran Vazquez added 11, Vladimir Golubovic had 10 while Carlos Suarez pulled down 10 rebounds for the hosts. Milan led 17-22 after 10 minutes but a 13-2 run allowed Unicaja to take the lead, 39-38, at halftime. Kleiza gave Milan a 61-65 margin after 30 minutes, which the guests extended to 61-70 right after that. Unicaja managed to get within 69-70 on a close basket by Vazquez but back-to-back triples by Kleiza sealed the outcome down the stretch. 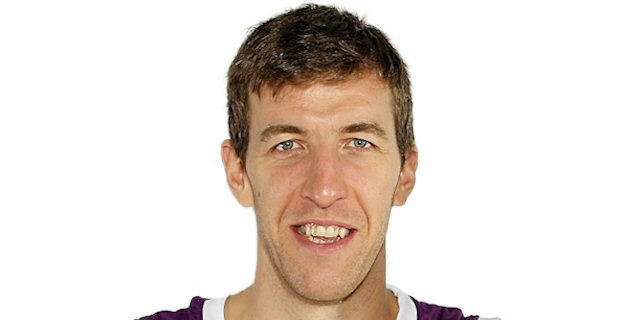 Both teams struggled to score early until Kostas Vasileiadis got Unicaja going with a five-meter jumper. Hackett quickly answered with a driving layup which Gentile followed with a huge basket for a 2-4 margin. Golubovic sank a turnaround jumper, Gentile scored in penetration and free throws by Suarez tied it at 6-6. Gentile kept pacing Milan with another driving basket and a three-point play for a 6-11 lead. Suarez hit an off-balance shot and a power layup by Will Thomas kept the hosts within 10-11. Nicolo Melli and Golubovic traded baskets and a driving layup by Hackett gave Milan a 12-15 lead. Granger hit foul shots and Vazquez hit his trademark five-meter jumper from the top of the key to make Unicaja regain the lead, 16-15. Samardo Samuels nailed a step-back jumper, David Moss added a fast break layup and a buzzer-beating triple by Gentile fixed the score at 17-22 after 10 minutes. Mindaugas Kuzminskas shined with a tip-in early in the second quarter which Hackett matched with free throws. A block by Shawn James allowed Kleiza to dunk at the other end and Hackett added a fast break layup which forced Unicaja to call timeout at 19-28. Toolson tried to change things with a three-pointer and Granger fed Vazquez with a huge alleyoop slam that brought Unicaja within 24-28. Shawn James dunked off a timeout but Granger quickly answered with a running jumper and a fast break layup by Thomas made it a two-point game, 28-30. 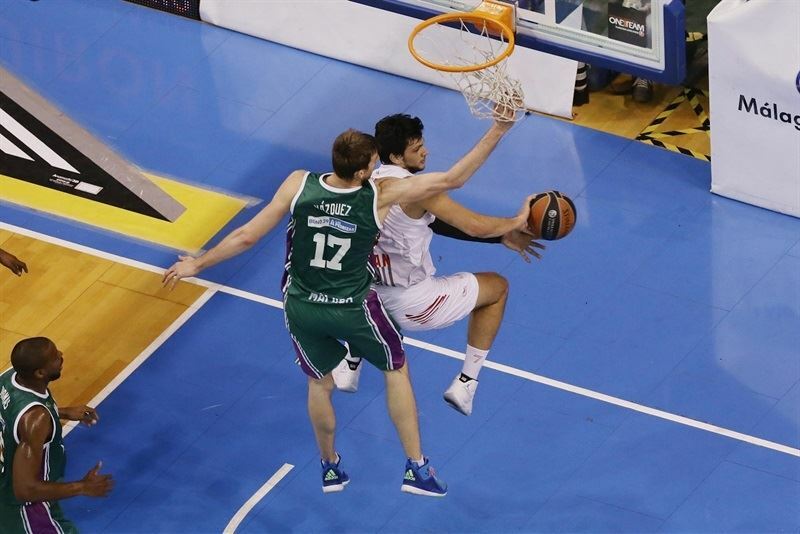 Toolson hit a jumper and Golubovic dunked to put Unicaja back ahead, 32-30, after a 13-2 run. Joe Ragland swished a mid-range jumper, Granger scored again and free throws by Golubovic gave the hosts a 36-32 lead. Ryan Toolson hit a three-pointer by Brooks struck twice from downtown to bring Milan within 39-38 at halftime. Granger made free throws right after the break which Nicollo Melli swished a three-pointer to tie it at 41-41. Gentile drew a foul and hit 2-of-3 free throws. Melli grabbed the offensive board, which allowed Brooks to hit a one-handed jumper, capping a 0-7 run. Vazquez and Thomas hit foul shots but an unstoppable Gentile kept Milan in front, 45-49. 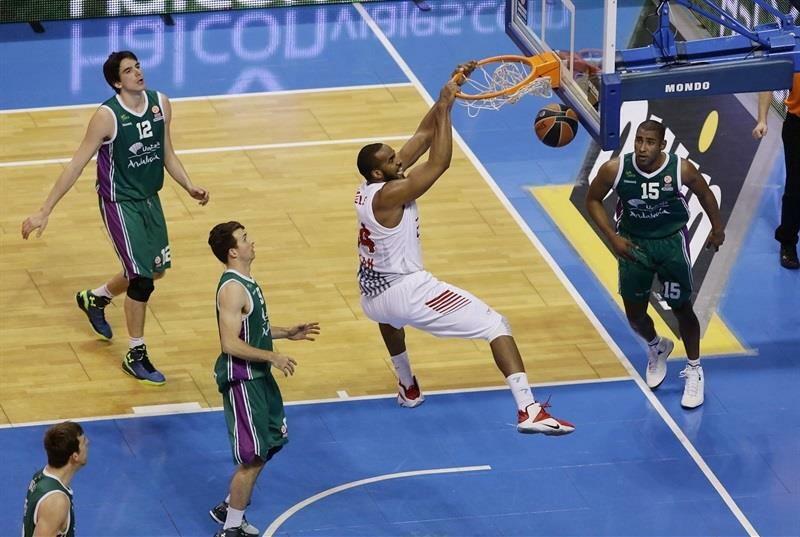 Gentile fed Brooks for an alleyoop layup which made Unicaja call timeout at 45-51. Gentile - who else? - dunked off a midcourt steal but Granger quickly answered with a close basket. 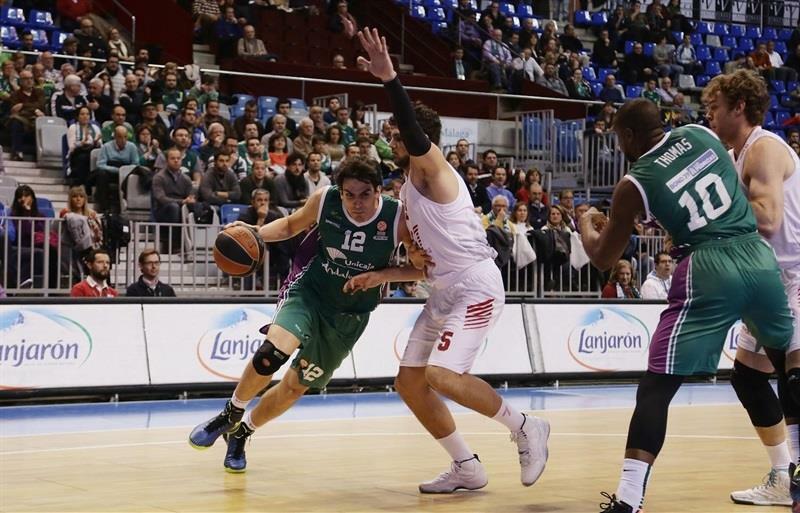 Toolson nailed a jumper and followed it with a three-pointer to bring Unicaja back to life, 52-53. 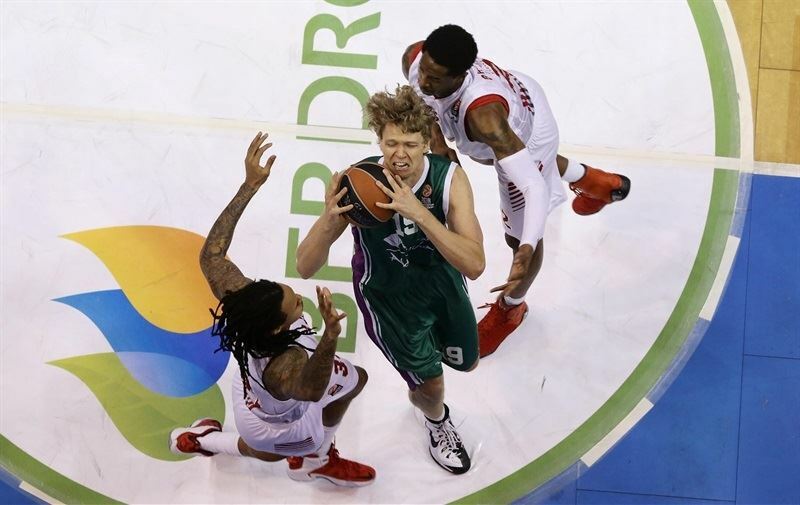 Kuzminskas and Thomas capped an 11-0 run with free throws to put Unicaja ahead, 56-53. Melli nailed a corner triple, Vasileadis hit foul shots and a three-pointer by Ragland tied it again, 59-59. Kleiza joined the three-point shootout with back-to-back triples for a 61-65 Milan edge after 30 minutes. Kleiza hit a technical free throw and Hackett added a layup for a 61-68 Milan lead early in the fourth quarter. 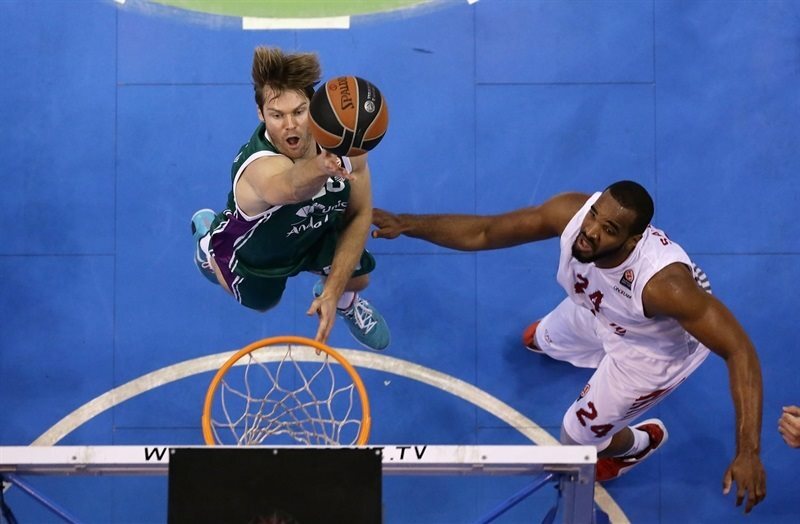 Unicaja kept struggling to score and a close basket by Brooks made it a nine-point game, 61-70. 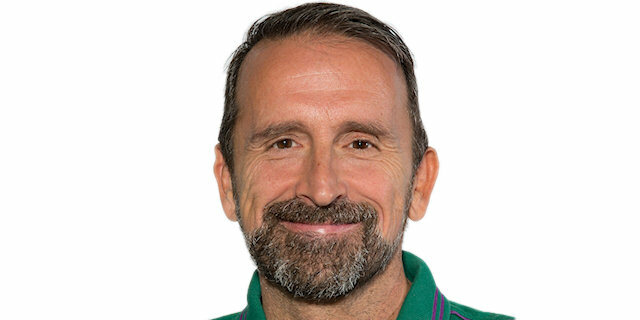 Golubovic tried to ignite the hosts' comeback with free throws which Suarez followed with a three-pointer to get the crowd involved at 66-70. Both teams struggled to score, as defenses took over until Fran Vazquez split free throws for a 67-70 Unicaja deficit with 4 minutes left. Vazquez banked in a close shot which Kleiza bettered with a triple for a 69-73 Milan edge. 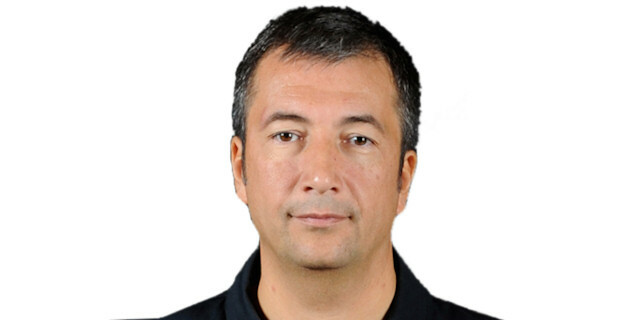 Vazquez rescued Unicaja with free throws but Kleiza once again improved that with a critical three-pointer. Granger split free throws and Ragland answered from downtown to seal the outcome, 72-79. 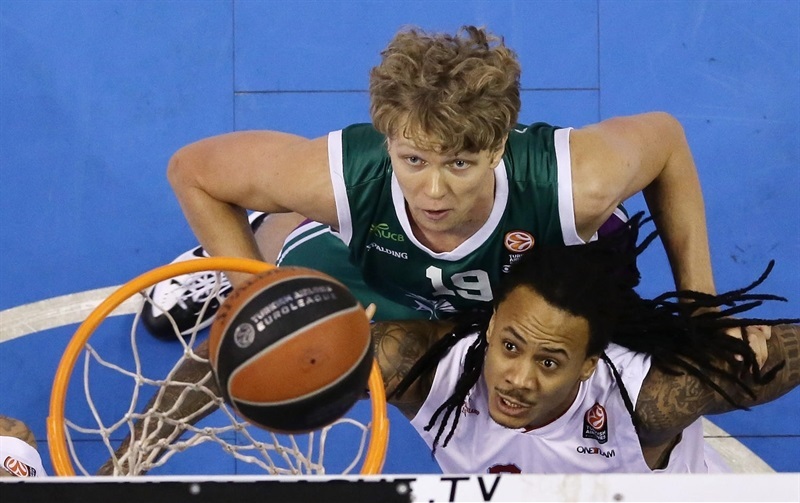 Unicaja called timeout but Milan had cruised to a very important road win. "It was a bad game. We had ups and downs, allowing 20 fastbreak points. We had poor shot selection and played bad defense in some situations, which allowed them to get open three-point shots. We had a poor ball circulation on offense. Milan deserved to win and we have to congratulate them. We missed a lot of easy shots. It is impossible to win with these shooting percentages. Our frontcourt did not do well today. Some of the things we prepared to get advantages went wrong." "The final score reflects our aggresiveness on defense. We were really focused and rebounded a little bit better tonight. Offensively, we struggled a bit at the beginning, when we stopped our offense a bit. Our players were a little bit tired because the game was really intense, but in the end, we found a couple of good team plays, penetrating and kicking the ball out for open three-pointers." "We had a lot of turnovers tonight. We had 8 or 9 turnovers in the first half and they took advantage of it. Even with that, the team rallied and got the lead. We were down by 4 points at the end of the third quarter but the team competed until the end. They hit three consecutive three-pointers which we couldn't overcome. We were playing hard defense and those three-point shots hurt us. We had a lack of communication and understanding in those players and worked against us. We will give 100% in all of our remaining games and try to get some wins to improve our confidence. We will never stop fighting." "This is a very important win for us. We played against a very good team on the road. Both teams had lost the first two games in the Top 16 so this is a really, really big win for us."